Austin: Kimi Raikkonen insists he has no plans for a special celebration after he "proved some people wrong" by winning Sunday's United States Grand Prix. 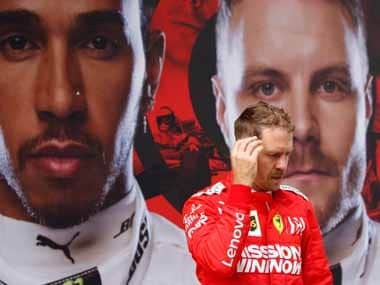 The Finn, whose victory for a resurgent Ferrari prevented Lewis Hamilton from clinching his fifth drivers' title in Texas, is leaving the Italian team at the end of the season and, at the age of 39, had been written off in some quarters. But he never lost self-belief and made the most of his chance at the Circuit of the Americas with a faultless drive and flawless strategy as his rivals floundered around him. It was his first win in more than five years and 113 races dating back to the 2013 Australian Grand Prix – and his first win for Ferrari since 2009. He returns to Sauber, where he started his career in 2001, on a two-year contract next season. "I'm happy for that," he said. "It was a great day to prove some people wrong and have a good race, but it doesn’t really change anything for me. "It’s just a number. Life goes on…. "I might be getting older, but it’s not too bad still. Maybe I’m ok to be around a few years more. "I enjoy it, so we are here to try to win. I always try to do it, but obviously it’s not easy otherwise anybody could do it. "I think this weekend we have been pretty solid in many ways. I just had a good feeling with the car." The laconic racer added that his young children were unlikely to be too excited. 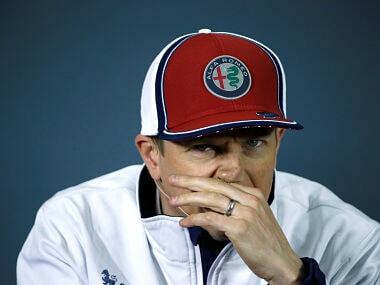 "They’ve been asking for a while, but they’re more interested in the Pirelli cap than probably a win itself," he said. "The kids probably fell asleep during the race, but the wife probably looked at it. I’m more than happy for all of us. It’s nice." 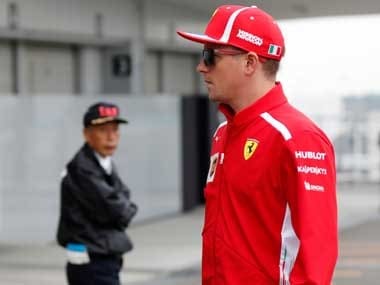 As a near-deadpan Raikkonen smiled, Hamilton, who failed to outscore fourth-placed Sebastian Vettel by eight points, the tally needed to seal the world title, conceded that Mercedes near-metronomic consistency had let him down with a poor choice of tyres and strategy. 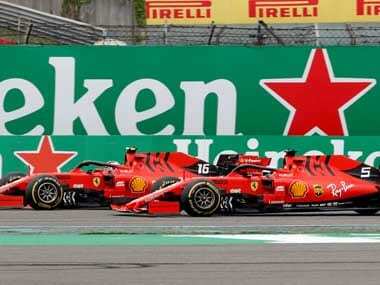 He also pointed out that it was difficult to pass second placed Max Verstappen and the victorious Raikkonen to deliver his sixth win in seven visits to Texas. "Honestly, I was trying to win the race, but you look at the two guys next to me – they’re not fighting for a championship so I had to be very, very careful how I navigated around them," he explained. "Championships are not won by fighting and making silly mistakes." Hamilton made several efforts to pass Verstappen in the closing laps, but was unable to find a way past him. "I gave him way too much space just to be sure that I didn’t get clipped, for example, and didn’t get taken out," he said, adding that he feared the Dutchman may understeer into him or defend his position with more aggression. "The key for me was that I finished ahead of Seb and for me it doesn’t matter when you win the championship as long as you get it done," he said. "Ultimately, we wanted to win the race today and I think going backwards two steps is not a good result, but you can’t win them all." 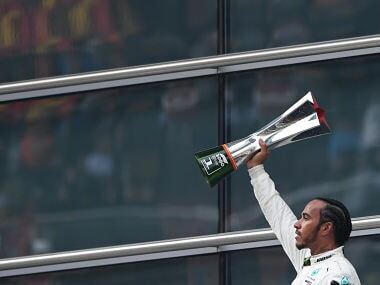 Hamilton will become only the third five-time champion in the sport if Vettel wins and he finishes in the top seven in Mexico next weekend or if Vettel fails to win.